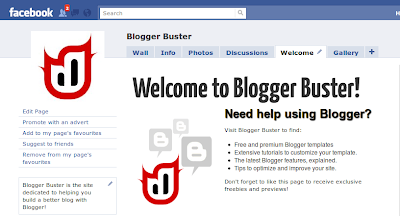 The Facebook page is a work in progress: over the coming weeks I plan to add more content (such as Blogger Buster's most useful/popular posts, Blogger Q&A) to ensure it's a useful community channel for all fans of the site. 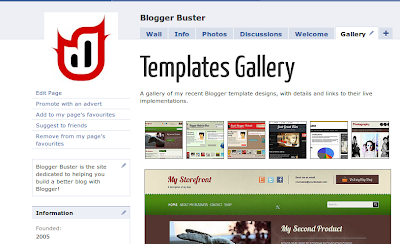 Blogger Buster fans on Facebook can benefit from a 15% discount of the popular ebook and templates package, Building Websites with Blogger, reducing the price to only $8.46. To get this discount, become a fan of the Facebook page and check out the "Welcome" tab where you'll find the link to purchase at this discounted price. I hope you like the redesign of Blogger Buster's facebook page! 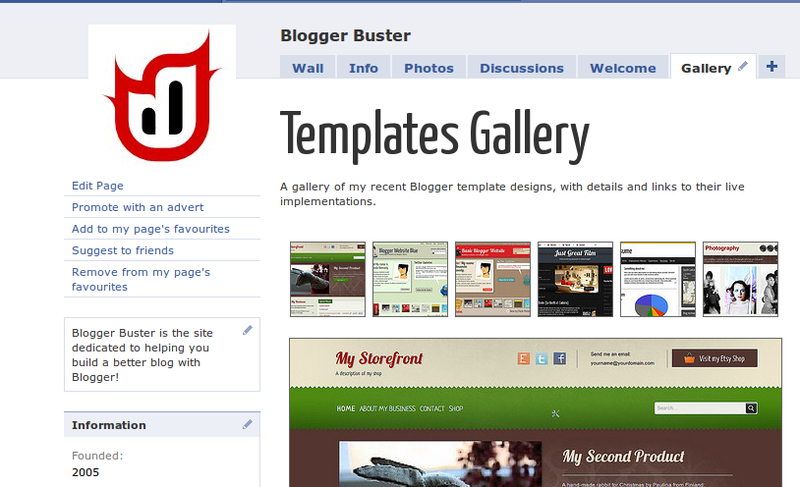 Please feel free to suggest any features you'd like to see and tell us what you think in the comments section below.